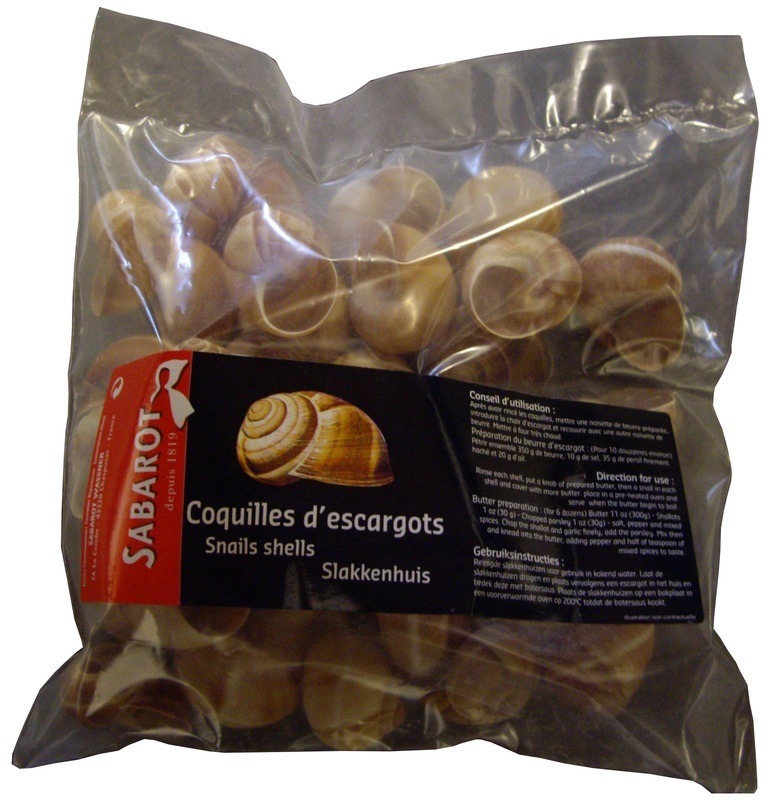 Snail shells packed by 36 units (3 dozens) in a plastic bag. Helix snail shells. Caliber: Extra large. Perfect for ‘Escargot à la Bourguignonne’: each shell will hold one extra-large snail with garlic butter. Clean the shells in boiling water and allow them to air dry. Filling: start by putting a bit of ‘snail butter’ (butter with garlic, parsley, salt, pepper) into the shell, then add a snail meat & fill with garlic butter. Size (in): L 16.0'' x 9.6" x H 11.8"